Boat part number 2000338 is a new OEM set of starboard and portside side sweep graphic decals for a Tahoe Boat, part number(s) 157861/157862. Boat Manufacturer: Tahoe Boats. Features an adhesive pull-away backing for quick and easy mounting installations. It is black, white, grey, and red in color. 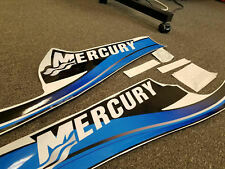 Boat part number 1073306 is a new OEM set of (2) side graphic decals from Crownline Boats, part number 22016. Part Number: 22016. Boat Manufacturer: Crownline. This set of decals are constructed out of gold, black, and white colored marine grade vinyl with a glossy finish. It features blue, black and gray colors. (SL / LOC: 45 E / 9038581). 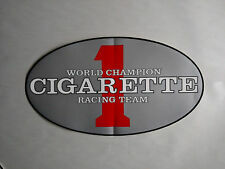 Includes 2 Decals full color. Decals are made from 5 to 7 year solid color vinyl. Decals are pre-spaced ready to apply, just remove paper backing and apply to surface, then remove transfer tape. Two Hydra-Sport boat decals. Colors are white over black. 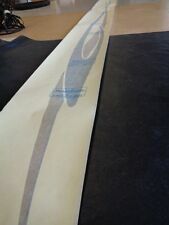 Awesome decal with transfer tape for easy installation . 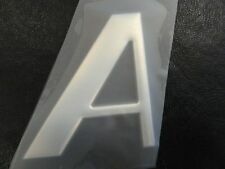 THESE ARE ACTUAL DECAL MATERIAL NOT PRINTED !!! comes as shown . You get 2 decals in this action. These are blue with mirror . We can custom make other sizes and styles and colors if you need . Or if you just want SPORT . Please email with questions or contact customer service . 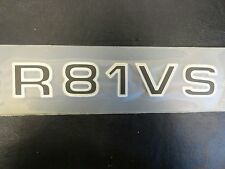 I am selling a 2008 Larson Adrena main starboard graphic decal, yellow, black, and white in color, part number 138058. It is new and it does come as shown in pictures. This decal measures roughly 123" long x 7 1/2" tall overall. For more information please contact a dealer in your area. ( KW / 58 C / 9060330 ) (3) Shipping cost is for the continental United States (lower 48 states) only. For shipping outside of the continental United States please inquire about shipping cost before bidding. 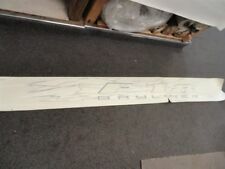 Boat part number 1073870 is a new OEM set of (2) upper deck graphic decals for a 2003 Crownline Boat, part number 22014. Manufactured by Sharpline, part number 134631-01. Part Number: 22014. Boat Manufacturer: Crownline. They are black and silver in color. (SL / LOC: 88 E / 9040257). 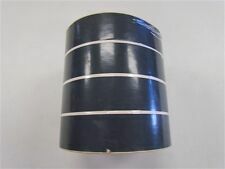 Boat part number 1021412 is a new set OEM trailer graphic ribbon decals for a 2006 Bayliner Trailer, part numbers 1807938 (PORT) / 1807937 (STBD). Part Number(s): 1807938 (PORT) / 1807937 (STBD). These decals are sold a 2 piece set (which is composed of a port and starboard side). It's part number is 1572724. Color is black. It looks up close that it is tan in areas as well without unpeeling the protective cover. (JW/ LOC: 105 C / 9042950). It has black, silver and white colors. (SL / LOC: 51 C / 9040202). ( HD / 101C / 9059473 ). They feature graduated dark to light purple and gold colors. (SL / LOC: U9C / 9038104). There are 2 decals, one for port and one for starboard side. Canceled Orders and Order Changes . It has 3 pink stripes that are roughly 1/4" each, there is a space between each one that is 1/4" each, the teal stripe is 1 1/2", then space that is 1/4", then the purple stripe is 1 1/2". It is overall roughly 5" x 200' feet. They appear to be red, black and gold through the paper. ( HD / 1C / 9048148 ) (50). It is red and white in color, as shown in the pictures. (SH / LOC: U 2 D / 9048699). It has black, white, yellow, gray and orange features on the decal. It is slightly dirty due to storage. The decal used in the ad was for display to show color. Canceled Orders and Order Changes . It is red and white in color, as shown in the pictures. (SH / LOC: 112 C / 9040489). 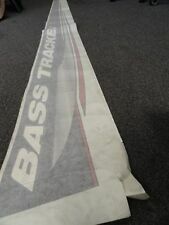 I am selling a Tracker Bass single decal black, red, gold, and white in color, part number 50495. It is new and it does come as shown in pictures. It measures roughly 89" x 8 1/2" measured at the longest and the widest points. For more information please contact a dealer in your area. ( KW / 52 D / 9060308 ) (3) Shipping cost is for the continental United States (lower 48 states) only. For shipping outside of the continental United States please inquire about shipping cost before bidding. Boat part number 1046527 is a new OEM main hull decal kit for a 2008 Lowe DEEP-V Boat, part number 1848726. Manufactured by Sharpline, part number 138440-02. Part Number: 1848726. Boat Manufacturer: Lowe. It is teal and gold in color, as shown in the picture. 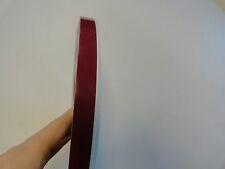 The adhesive tape may need to be replaced, as shown in the pictures. (SH / LOC: 84 E / 9043717). ( HD / U2D / 9048131 ). (MV / 41 A / 9043141)(5). ( KW / 64B / 9049825 ) ( 6 ). ( KW / 52.2 C / 9052098 ) (3). (JS / LOC: U3 C / 9037754) (3). It features dark grey, grey, white and red colors. (SL / LOC: 54.2A / 9038271) (2). It is black in color, as shown in the pictures. (SH / LOC; 51 C / 9040385) (3).